From the makers of Mega Shark versus Giant Octopus comes another horror movie with villains from the deep. This time, they’re no longer from the icy depths, but from the rivers of the Amazon. Genetically modified piranhas begin their swim of terrifying the world when the party boat of the US Ambassador to Valenzuela sinks and the guests are devoured by the school of impossibly large fish. It’s up to the hero, Jason Fitch played by Paul Logan, to assess this problem and eliminate the possible threat. When pressed for answers, Dr. Sarah Monroe, played by 80’s pop-star Tiffany, confesses that she created the mutant fish to help with world hunger. For obvious reasons, her genetic experiment, filled with good intentions, has gone wrong and is instead eating the people she intended to feed in the first place. A nuclear strike is ordered when Secretary of State Grady finds out about the situation, but the mega piranhas rather than being eradicated, are actually doubling in size and posing as an even bigger threat. 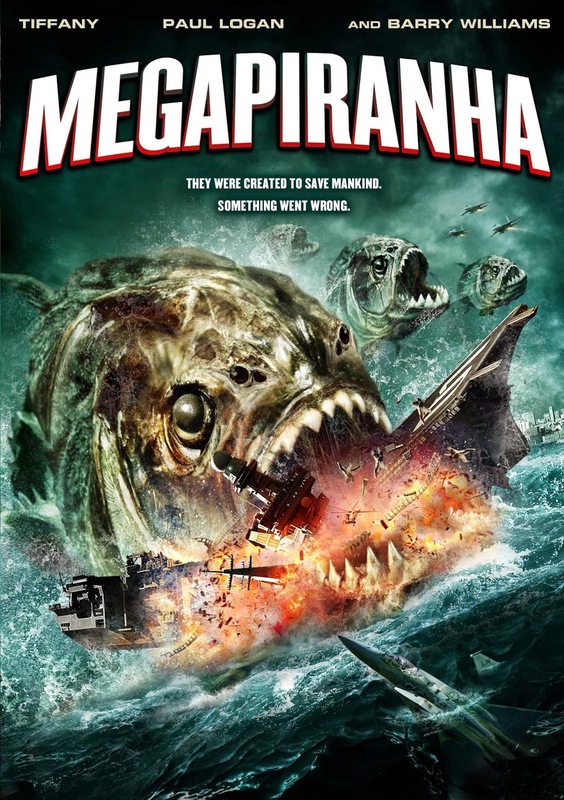 Mega Piranha is full of action that will hook you into watching the movie until the very end. 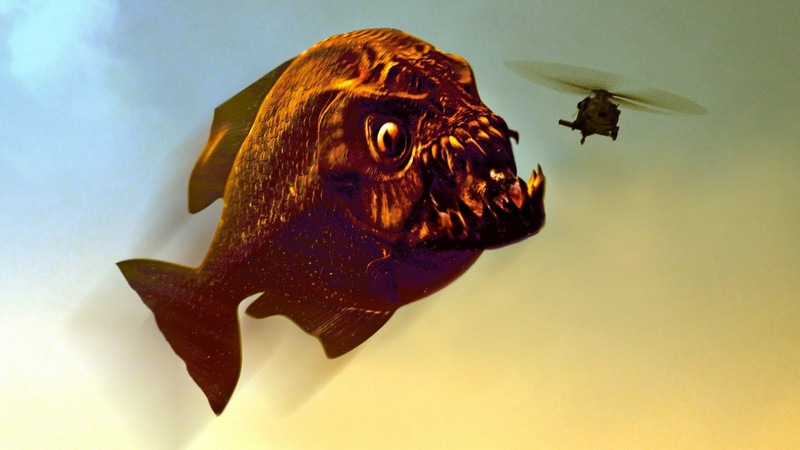 From piranha’s the size of cars swimming to the Mississippi River in just 2 days to gargantuan piranhas jumping in the air to eat a helicopter, these fishes will make you thankful that this is all just science fiction. If you’re looking for a night filled with action as a terrifying mutant strain of giant ferocious piranha escape the Amazon to eat their way towards Florida, Mega Piranha is the movie for you tonight.